A new study by Ipsos, UK’s leading market research company, shows that 26% of Indians access the web to play online games. Most Indians use the web to collect information, download and stream media, in addition to playing video games. Ipsos held the survey among internet users in 24 different countries. “Increasingly more people choose online content instead of offline media. 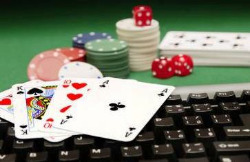 The world wide web is not only a platform for commercial purposes, but also a place to enjoy online games and to gamble. An increasing number of persons aged 13 to 40 play online games, representing a huge potential,” according to Ipsos India head marketing communication Biswarup Banerjee. More than a quarter (27%) of people globally use the internet for online gaming. A whopping 61% of Chinese internet users play online video games. The Polish also enjoy online video games (47%), followed by Turkish internet users (38%) and Mexican web-surfers (33%). Online video games are less popular in Sweden (13%), South Korea (16%), Hungary (17%), Japan (18%) and France (18%). The survey shows that India is the world leader of online gambling for money (26%), followed by Saudi Arabia (23%), Poland (21%), South Korea (20%) and Sweden (20%). The Italians (6%) are least likely to gamble online for money, joining Germany (6%), México (7%), China (7%) and Australia (7%). India has a booming underground gambling scene, despite severe restrictions. Especially sports betting is extremely popular in India. It is believed that illegal bookmakers use the revenues to finance criminal activities. Additionally, match-fixing most commonly has its roots in the underground sports betting scene. Legalizing sports betting might be the answer.